What a phenomenal read! This book is a bit of a challenge, especially at the start, where the language being spoken is 'sort of' English!! There are several stories, which read like short stories, going on at the same time in this novel - I say at the same time, but each story is set in a different period in time, some in the past, other in the future. Each has it's own style and diction, it's own vernacular and vocabulary. It is mind boggling how one person wrote this book. And yet there is a thread running through each story which links them all. You will be amazed at the talent and skill of this author. This is a GREAT book and I think I will have to return to it at some stage to take it apart more thoroughly and analyse it. It wasn't a very popular book with my book club, but if you are prepared to stick with it, I think you will think it's worth it. It is a novel to really get your teeth into and I know that there is an excellent audio book version of this available too. YES I recommend it to everyone!! 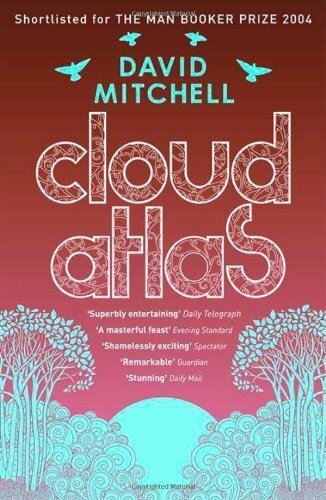 Apparently Cloud Atlas is being adapted for the big screen in the autumn with a very large budget... I am not sure how it will translate though. We will have to wait and see!